Travelling to a new and exotic destination is one of the most exciting feelings in the world but the long-haul flight to get there is probably one of the worst. The excitement quickly wears off when you’re five hours into your flight, you can’t get to sleep, your ankles are swollen, you’re bored out of your mind and there’s a baby crying in the seat behind you. 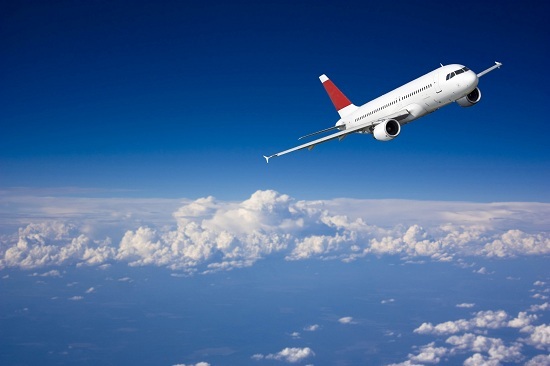 Yes, long-haul flights aren’t quite as glamorous as they were once portrayed so we’ve put together some great tips to make it as bearable as possible and to ensure you arrive in style feeling relaxed and ready for your holiday. If you have any more tips to add to the list, let us know in the comments below! Get up and stretch your legs as often as you can. Take a walk from one end of the plane to the other and if you get stuck behind the trolly, even better. The longer you’re on your feet the better as you’ll get the blood circulating in your legs and help to avoid DVT. When you’re not on your feet, try a few exercises in your seat to stretch out your muscles and avoid swollen feet and ankles. There will be a card in your seat pocket with some stretching suggestions so follow the routine every couple of hours to ensure you don’t have cankles by the time you land. It can be difficult to get comfortable in a small plane seat so take a pillow or cushion to help make it easier. Use it to support your lower back or place it on your shoulder for a place to rest your head. If you don’t fancy carrying a pillow around the airport with you, buy an inflatable one that will fold up into your hand luggage. You’ll even be able to use it on the beach to make sunbathing that bit more comfortable. We all love to snack on crisps, nuts, sweets and chocolates while we’re on a plane but these foods will leave you dehydrated and the sugar crash will leave you feeling groggy. If you’re going to pick up some snacks in the airport, opt for fresh or dried fruit instead. We know, we know, this isn’t what you want to hear at the beginning of your holiday but laying off the alcohol will actually make the flight much more comfortable. You’ll avoid becoming dehydrated and you won’t have that tired and groggy feeling when you land. 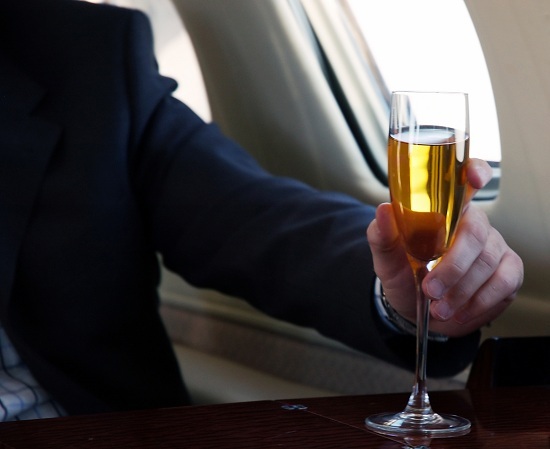 Recent studies have shown that drinking at a high altitude doesn’t actually lead to faster intoxication so, by all means, enjoy a beer or a glass of wine with your meal but take it easy for a better flight experience. Try to adjust to any time differences as soon as you can and change you watch as soon as you get on the plane. This will help you adjust faster and you won’t be affected by jetlag so much. Wear lose and comfortable clothing with plenty of layers. The temperature on planes can fluctuate dramatically and there’s nothing worse than being too hot or too cold on a long flight. A cosy jumper can also double up as a blanket or pillow and pack some socks if you’re travelling in flip flops or sandals. A decent pair of headphones can allow you to block out all the noise around you so sit back, relax and enjoy a good film. These are particularly important when you’re trying to get some sleep surrounded by noisy passengers. Combine your headphones with an eye mask and you’re cocooned in your own little world that is perfect for getting some shut eye. Well, almost. And if all else fails, upgrade to first, business or premium economy class! Our competition to win a Kindle Fire, the ultimate gadget for any long journey, ends on July 31st. Hurry up and enter if you'd like to win a Kindle for your next flight! If you're flying with kids, take a look at Tips for Surviving Family Holidays with some great advice about flying with children from expert family travel bloggers.